Seasonal reclaimed water restrictions in effect through Nov.
Pinellas County seasonal reclaimed water restrictions went into effect on Monday, Oct. 1, and run through Friday, Nov. 30. Due to supply fluctuation in both the north and south county reclaimed water systems, the restrictions schedule for reclaimed water users will be different for north and south county customers during this period. Enforcement of watering restrictions is currently being intensified to encourage responsible use of reclaimed water. 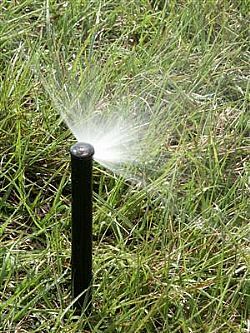 Effective Monday, Oct. 1, North County reclaimed water customers may only irrigate two days per week based on property address. Visit the link below for the schedule. Because irrigation is entirely prohibited on Mondays, Thursdays and Fridays, the reclaimed water system will be shut down on these days, as needed. The system will also be shut down from 8 a.m. to 4 p.m. on all days of operation for supply recovery. Customers should monitor the reclaimed water restrictions website for up-to-date information on shutdowns and schedule changes at www.pinellascounty.org/utilities/reclaim-irrigation.htm. Customer cooperation in following the two-days-per-week watering schedule is critical as excessive demand may require returning to watering one day per week. South County reclaimed water customers may irrigate three days per week based on property address. Visit the link below for the schedule. Pinellas County Utilities reminds customers that reclaimed water is a limited resource due to water usage, fluctuations in weather and capacity of the system. Conservation is necessary to promote adequate supply that is shared by all customers.